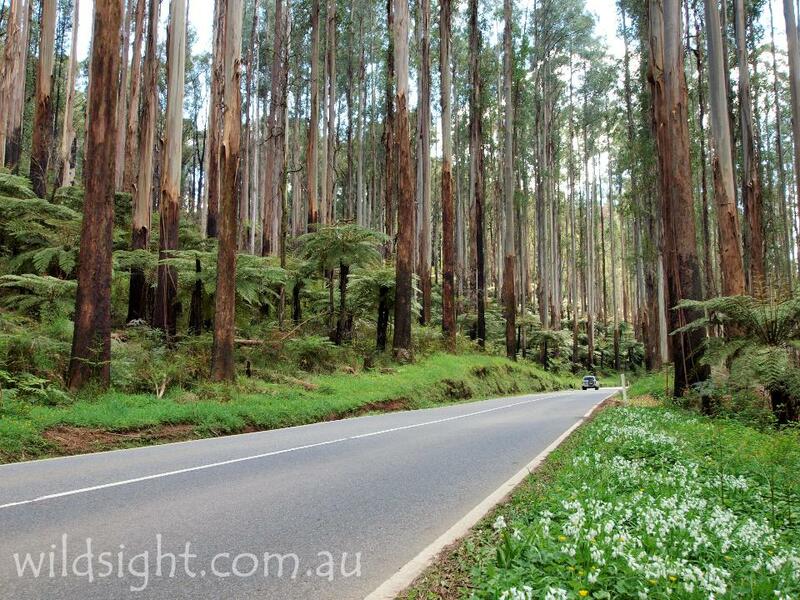 Lush rainforest, waterfalls, bubbling creeks and the some of the world’s tallest trees – all within a couple of hours’ drive from the centre of Melbourne. 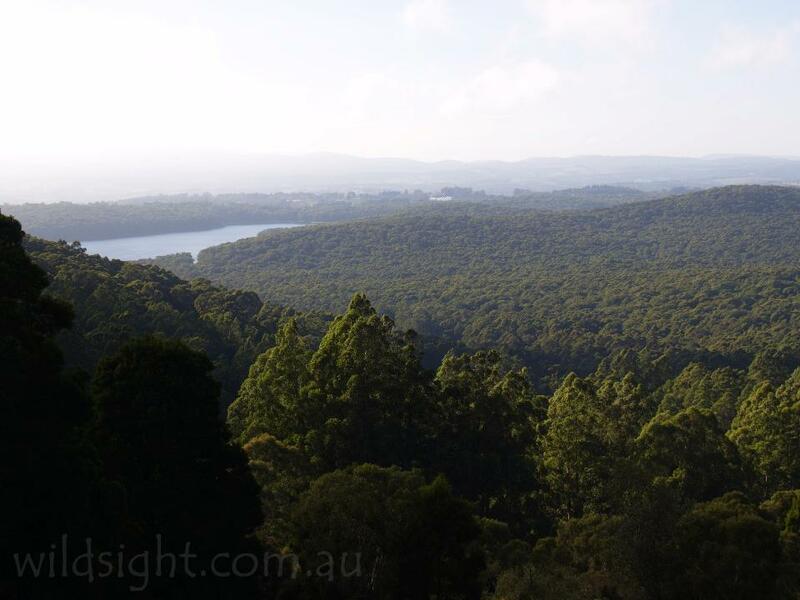 Ringing the city to the east and north are heavily forested mountains that make a fantastic escape from the city for a scenic drive, picnic or bushwalking expedition. The Dandenongs are close enough to be on the suburban rail line, and have been a favourite spot for Melbournians to take a quiet walk or enjoy a devonshire tea for generations. 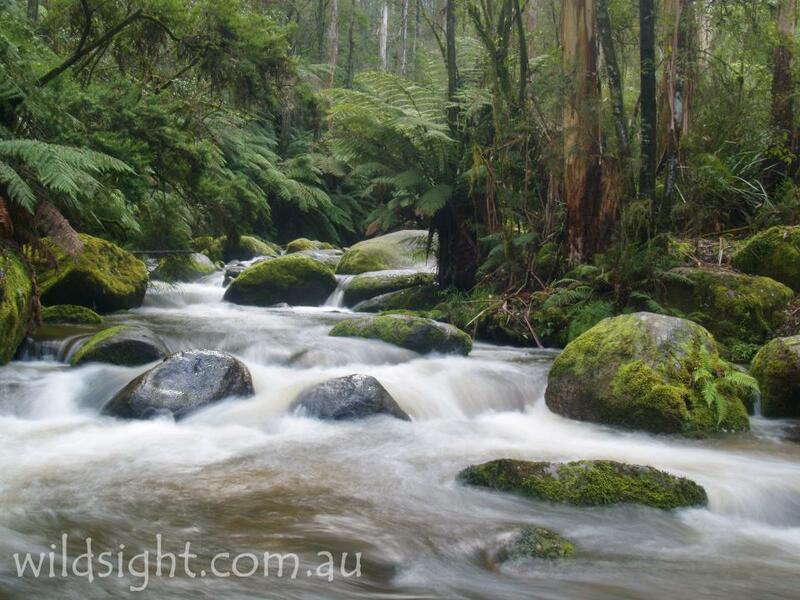 A bit further out the Yarra Ranges National Park protects majestic mountain ash forest, patches of cool temperate rainforest and clear mountain streams that give Melburnians some of the cleanest drinking water in the world. 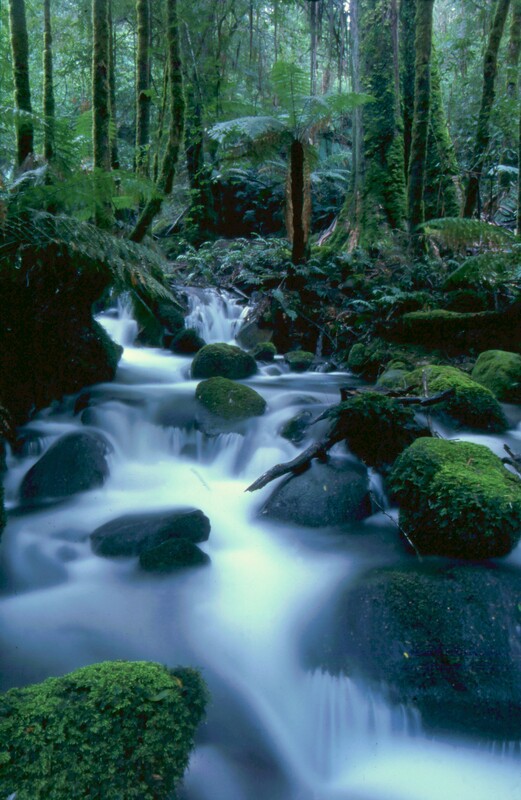 There is more great scenery in Kinglake National Park and nearby reserves including Marysville, Noojee and Toolangi Black Range State Forests. There is a push to unite the reserves in a Great Forest National Park to preserve them forever from logging to be enjoyed with quiet awe by future generations. Head north-west to complete this leisurely loop anti-clockwise. The first notable feature is the Big Tree, a large mountain ash in a small clearing (it was bigger before the top was lopped off by lightning). 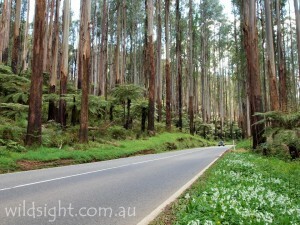 The track turns south to cross the road at the Big Tree-Cora Lynn Falls car park. 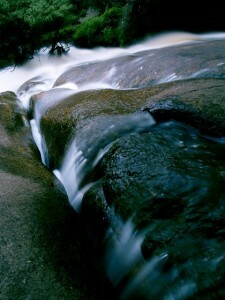 Pick up the track again and continue south, turning right at a junction to descend to the pretty Cora Lynn Cascades. Return to the main track and walk through forest burnt out in the 2009 fires to cross the Cumberland Creek on a wooden bridge above Cumberland Falls. The next section of track follows an old water race built by miners in the 1870s. The spot provides a view towards Warburton. From here it’s a short walk back to the picnic area. 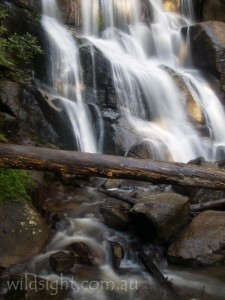 The Lady Talbot Forest Drive starts near Marysville and provides access to several excellent forest walks and waterfalls. The first car park is for Phantom Falls, and the walk starts with a climb from the Taggerty River to a gully choked with tree ferns, where the falls flow over steeply sloped rock. Views are partially obstructed by the surrounding vegetation. Return to the car park on the same path. The next stop on the Lady Talbot Forest Drive is one of the most underrated waterfalls in the Yarra Ranges, and possibly Victoria. 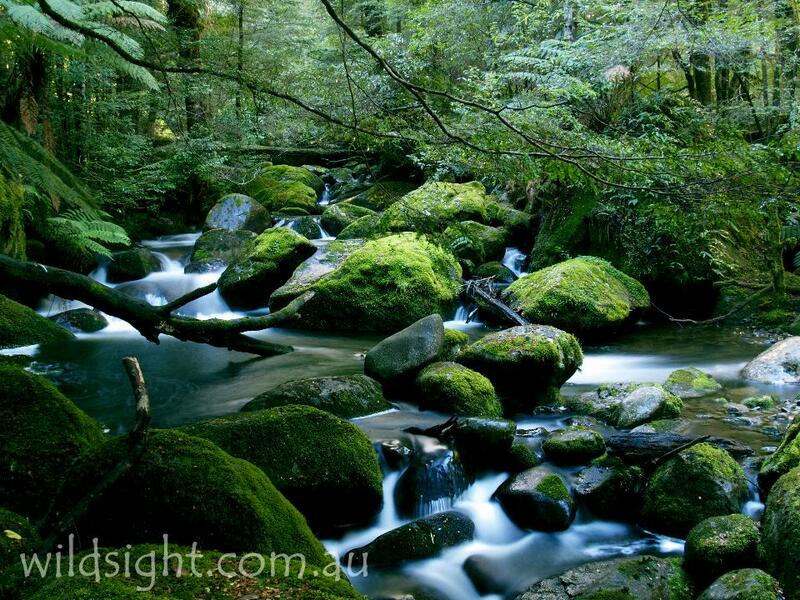 The wide path follows the Taggerty River to a wooden viewing platform for a great view of the falls tumbling over a short drop then rushing over boulders in the tree-fern lined river. Return to the car park on the same track. A short distance up the road is a lookout offering a long-distance view of the falls from above. This excellent circuit can be started at either the Beeches or Taggerty Cascades car park – both are included in the route. And the walk can be done in either direction. The track winds through magical cool temperate rainforest with moss-covered myrtle beech and sassafras trees looming on both sides. The path follows the beautiful Taggerty River to Taggerty Cascades then on to the Meeting of the Waters where the river joins Whitehouse Creek. If you’re lucky (and quiet) you may spot a lyrebird in the forest or a shy antechinus in a tree hollow. An old muddy track beside the creek has been replaced in recent years by an excellent raised metal walkway through a stand of cool temperate rainforest on the slopes of Mount Donna Buang. 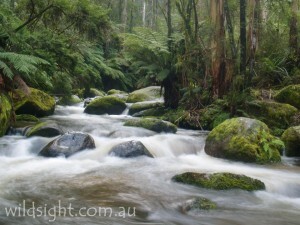 The walkway includes views of the delightful creek as it bubbles over moss-coloured boulders. 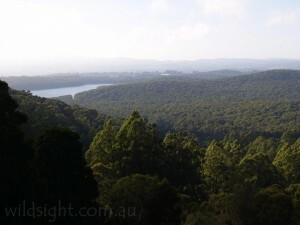 There is also a short walk to an observation platform that allows you to look down on the forest from among the canopy. A 350-metre track close to Marysville leads to a viewing platform below the 84-metre falls, one of the highest in Victoria. The falls are floodlit at night. 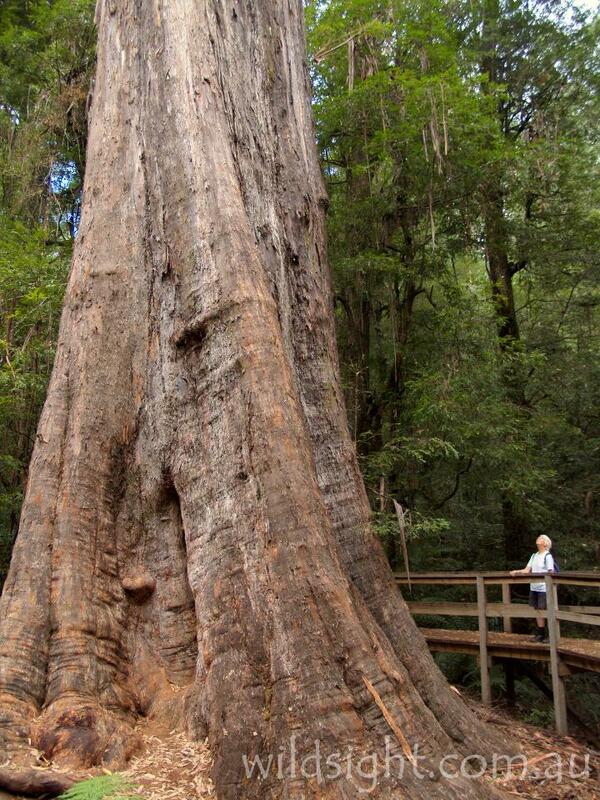 There are few better places in the world to see big trees than the Yarra Ranges, and quite possibly the most impressive of all is the Ada Tree. The 270-year-old behemoth is 76 metres high, with a circumference of 15 metres, and it towers over the surrounding rainforest. From the picnic area follow the track as it meanders through the rainforest to the tree, which is surrounded by a boardwalk. The Ada tree is a mountain ash (Eucalyptus regnans), the tallest flowering plant on Earth. Once the forest was full of giants like this but most of the others have been logged, leaving just a few to remind us of how impressive they once were. If you have time continue along the Little Ada River to the camping area at Federal Mill (add 1.4km each way) before returning via the same route to the picnic area. 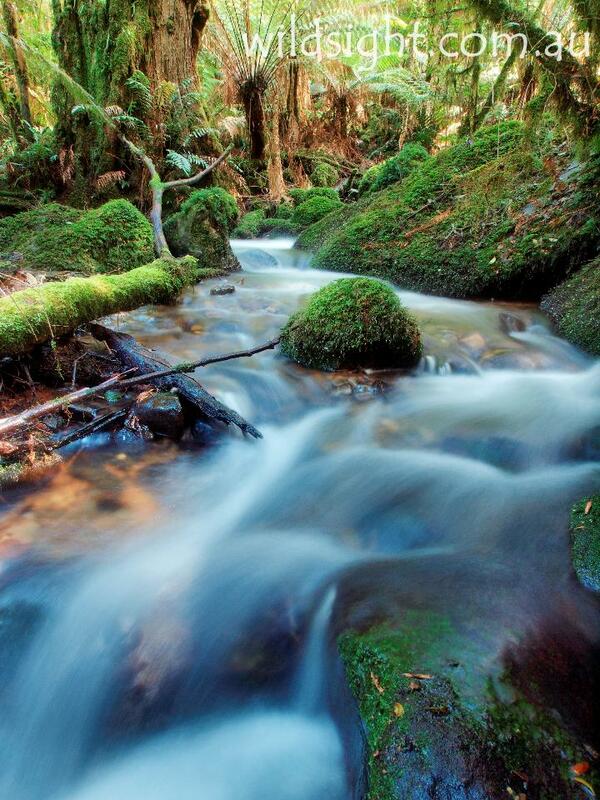 Kinglake National Park protects a wide variety of native vegetation on Melbourne’s northern fringe and this walk includes the park’s two best-known features, Masons Falls and Mount Sugarloaf. The track starts at a road junction just inside the park entrance, walk south on the Sugarloaf Ridge track through messmate forest beside the road (crossing it once) to reach a junction after 2.1km. The path to the right, Running Creek Track, will be followed shortly but for now continue straight ahead to visit the 570-metre summit of Mount Sugarloaf, where views are blocked by trees – the Melbourne skyline can be seen from a lookout 100 metres past the summit. Return to the junction and turn left on to Running Creek Track. 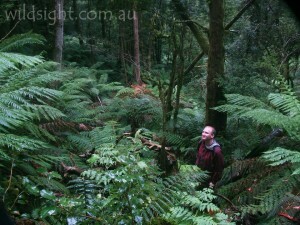 Cross the road and climb a ridge then descend into a fern gully known as the Tryst. The track follows Running Creek north, climbing gently for 2km past more delightful gullies at Hazel Glade and Ferny Nook. After Ferny Nook the track turns east and climbs to the large viewing platform to Masons Falls. 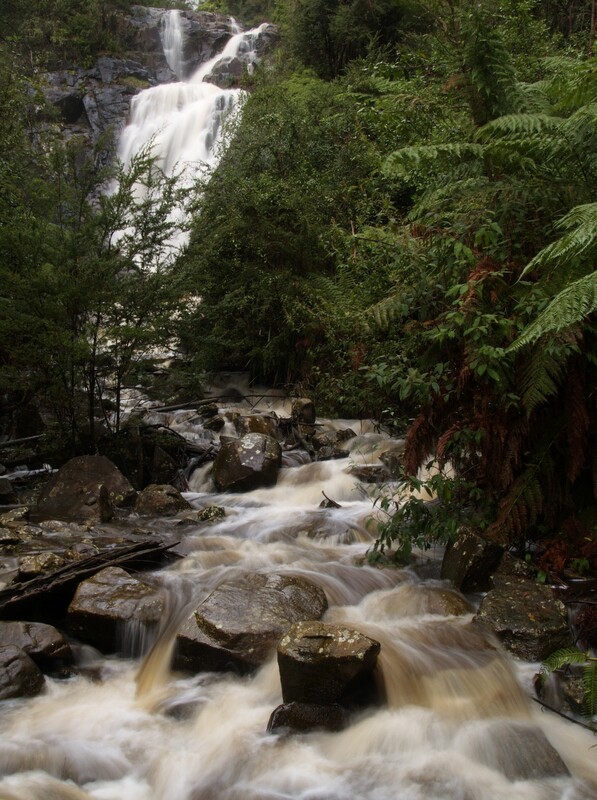 The falls drop 45 metres and are spectacular after heavy rain, but dry up to a trickle for much of the year. Continue north for 500 metres to Masons Falls car park. Pick up Boundary Track on the other side of the car park. This track heads east then turns south to return to the starting point. The cascades, where the Murrinindi River tumbles over large granite boulders, are a highlight of Murrinindi Scenic Reserve, located at the southern end of Toolangi State Forest between Healesville and Kinglake. From the picnic area cross the road and follow the steps down to where two bridges cross the river at the base of the cascades. Return to the car park or follow the river for 12km on the Murrinindi River Walk. The track takes about three hours so it’s best to have a car waiting at the other end. A boardwalk leads through a beautiful pocket of cool temperate rainforest in Toolangi State Forest that survived the Black Saturday bushfires. Wirrawilla means “green trees” in the local Aboriginal language and the track certainly lives up to its name as it follows the clear waters of Sylvia Creek. 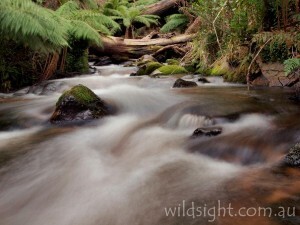 Keep an eye out for for platypus and lyrebirds. It’s a 900-metre walk from the car park to the summit. There are no views from the top but just before the summit a side-track leads to a lookout over Marysville. Better views are 300 metres further on at the Alps Lookout. 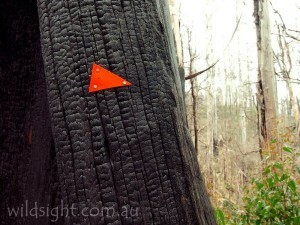 After walking through snowgums for another 800 metres the track reaches a junction. Turn right to return to the car park past another lookout at Taggerty Valley View. 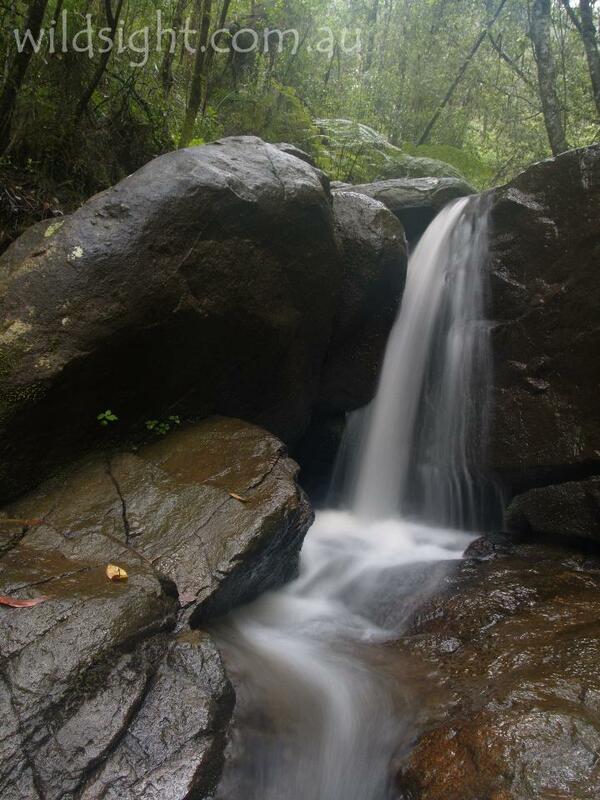 A nice short walk near Warburton to a small but picturesque waterfall. Drive south out of Warburton on Park Road and turn on to Old Warburton Road then Irruka Road. The walk starts at the picnic area opposite the Department of Sustainability and Environment office and winds through majestic forest, following the route of a tramline used by timber workers in the late 1800s and early 1900s – long before the days of clear-fell logging. Relics reclaimed by the forest in the decades since are a feature of the walk. The track ends at Reids Mill; return via the same route. An excellent circuit that visits two waterfalls near the town of Noojee at the southern end of the Yarra Ranges. 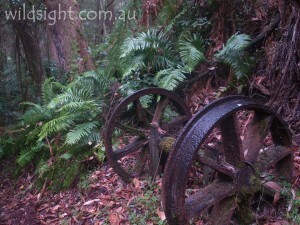 From the car park cross Toorongo River on a wooden bridge and head left when the track splits, following the river to a viewing platform, overlooking Amphitheatre Falls which tumble into a fern-filled gully. Turn around and head uphill to continue to Tooronga Falls. A wooden platform abuts the falls which crash over a small cliff into a log-filled pool. They are an impressive sight especially after heavy rain. Do a sharp right turn to follow the track through the forest back to the bridge. There is a maze of tracks in the Dandenongs forests that can be combined to form short or long day walks – this route covers the best of Sherbrooke Forest but could be modified to suit time or fitness demands. From the picnic ground cross Monbulk Road and start walking at a small gate. 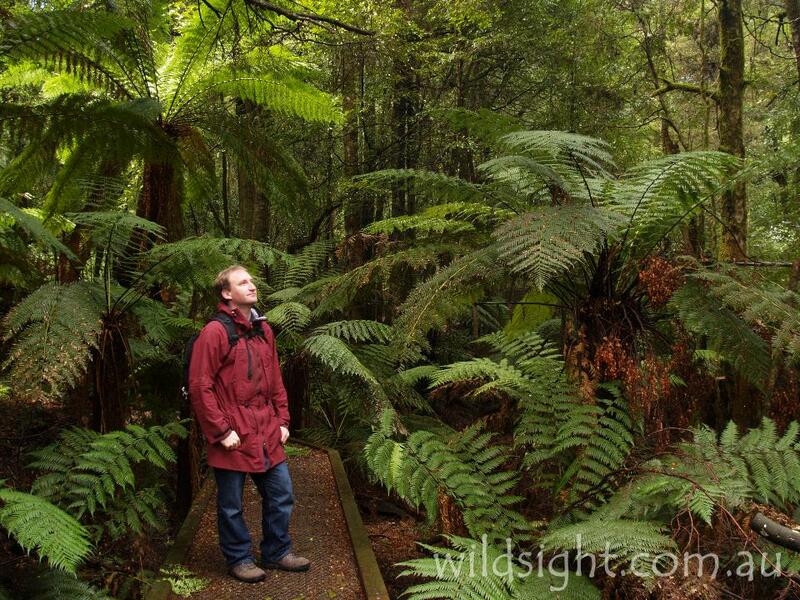 Stay left to follow Treefern Track which crosses Clematis Creek on a wooden bridge then swings north to hit Lodge Road – walk on the roadside for about 800 metres to O’Donohue Picnic Ground. The track continues west; at a junction turn right following signs to Sherbrooke Falls, reached 1.1km from O’Donohue Picnic Ground. Continue along Hillclimb Track which descends through wet forest to cross Sherbrooke Creek. Keep left at the next two track junctions to enter a car park beside Micawber Tavern. Cross the road with care and pick up the track on the other side – you want to be on Bleakeley Track to the left, ignore Lipscombe Track which leads straight ahead. Bleakeley Track heads north (left) through tall forest above the road for 2km back to Grants Picnic Ground. The falls are more of a cascade than a true waterfall but the walk is a pleasant stroll through the mountain ash forest. From the picnic ground the path winds through the eucalypts and tree ferns on a gradual descent to the falls. Return on the same path. These have more of a claim to the title of waterfall, and the walking in this section of the park feels a bit wilder – and wetter; expect to encounter mud especially after rain, when the falls are at their best. Start at the signposted track opposite the Mount Dandenong Arboretum and head downhill, crossing Falls Road before the track splits to viewing platforms at the upper and lower falls – the lower section is more impressive. Return to the main track and head right to follow Cascade Track which follows the creek for 1.1km to Barbers Road. Turn right and follow the road for 200 metres then turn right again on to VW Track which climbs for 1km to meet Barges Track. Turn right here and follow the management vehicle track south for 300 metres – ignore side tracks on the left and continue to a gate where Bartlett Tack meets Falls Road. Turn right again and follow the public road north for 300 metres to the intersect Mehanics Track. Turn left and retrace the first 1.1km of the walk to complete the circuit. The forest trails are a mecca for mountain bikers – try the 38km Warburton rail trail from Warburton to Mount Evelyn, or the 20km of tracks at Lysterfield Lake, the site of mountain bike events at the 2006 Commonwealth Games. Beginners can get a taste of caving at Brittania Creek near Warburton and in winter there is enough snow around to ride a taboggan down the higher reaches of Mount Donna Buang and try cross-country skiing at Lake Mountain. The towns and hamlets dotted throughout the ranges have a plethora of cafes, tea houses and antique shops that make a delightful day out and the Yarra Valley is home to some of Australia’s best wineries. There are no campgrounds in Dandenongs or Yarra Ranges National Park but there are good options in adjacent parks, including Starlings Gap, Federal Mill and Ada No.2 Mill in Yarra State Forest – rusted timber-cutting relics provide an added attraction. There is a well-appointed campground at the Upper Yarra Reservoir Park and in the Dandenongs you can pitch a tent at Wombat Corner near Emerald Lake Park, at Kurth Kiln Park (the closest bush camping to Melbourne) and in Bunyip State Park. There are caravan parks and varioius levels of accommodation in towns across the region. 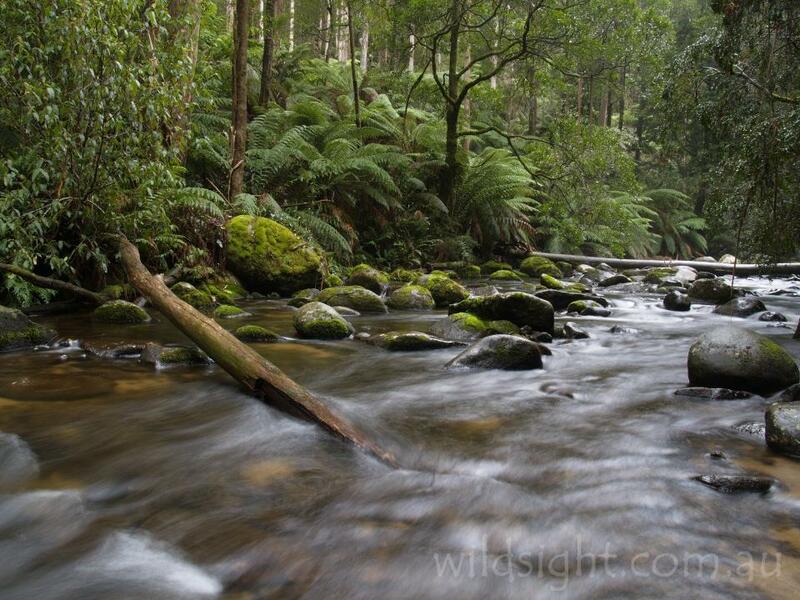 The park is home to the endangered Leadbeaters Possum, Victoria’s animal emblem, and the shy superb lyrebird. Large pristine tracts of mountain ash forests with an understory of tree ferns and gullies of cool temperate rainforest are of high ecological significance and provide important tree hollows that are home to bats, owls and gliders. Sub-alpine vegetation including snowgums grows on the highest peaks. Temperatures are usually 3-4 degrees cooler than in Melbourne and the Yarra Ranges is one of the wettest places in Victoria, with Warburton receiving nearly 1500mm of rain a year. Leeches are found in the wet forest and are happy to hitch a ride on a passing human. They aren’t dangerous but are unpleasant, a dab of hand sanitiser will usually make them drop off. On longer walks be prepared for wet conditions and snow in winter. The biggest danger is bushfires – in February 2009 a massive fire tore through the towns of Kinglake and Marysville and much of the Yarra Ranges, claiming 159 lives. If fire danger is rated as high or worse, best to save the trip for another day. Most of the tracks listed here are well graded and easy to follow, if ocasionally muddy. 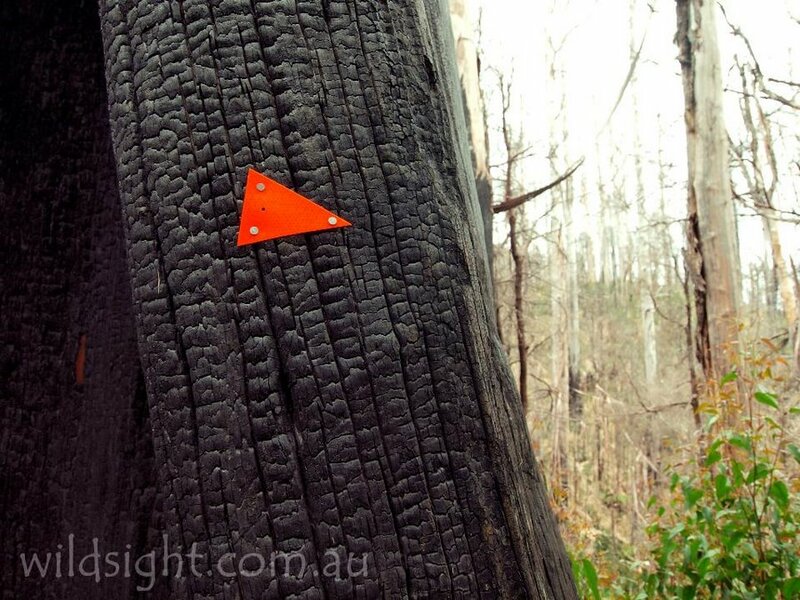 Intersecting forest trails can be a bit of a maze in places, make sure you know where you’re going! These descriptions are a guide only. While we have made every effort to make them accurate, we accept no responsibility for any loss, injury or inconvenience sustained while using them. Make sure you use an up-to-date map and consult rangers before heading out. Sherbrooke Forest is the most picturesque section of the Dandenongs with tall gum trees rising above a sea of tree ferns. Grants Picnic Area and walking tracks along Monbulk Road provide good vantage points. The Dandenongs' much-photographed boathouse is found in Alfred Nicholas Memorial Gardens, open from 10am-5pm every day except Christmas Day. The classic image of the historic Puffing Billy steam train crossing a trestle bridge is taken on Old Monbulk Road just outside Belgrave. There is a car park on the side of the road. Check the Puffing Billy timetable online to time your visit just after it pulls out of the station! Mason Falls are the most spectacular feature of Kinglake National Park, and the walking track on the opposite side of the valley provides an excellent vantage point. But they are only worth visiting after sustained heavy rain. The outstanding rainforest at Cement Creek is now accessible via a raised walkway which protects the fragile environment but, unfortunately for photographers, doesn't allow the up-close creek photos that were possible on the old rough track (where we spent many weekends learning the tricks of rainforest photography). There are still a couple of good spots to capture the very photogenic creek. For the opportunity to rock-hop looking for a photo angle and balance a tripod on the edge of a creek head to the Beeches walk accessed via the Lady Talbot Forest Drive at Marysville. 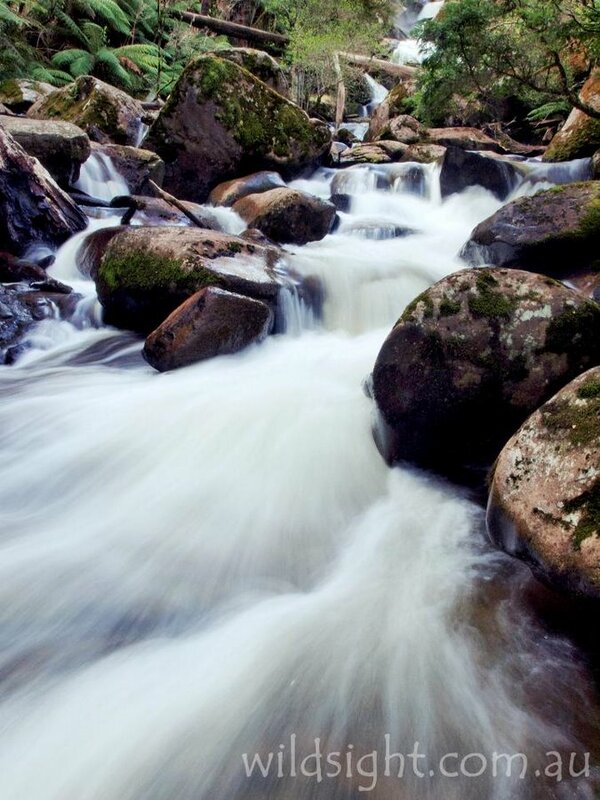 The path follows the Taggerty River through the forest with a couple of river crossings where you can photograph the bubbling waters, especially around the Meeting of the Waters, a set of picturesque cascades. The drive also accesses short walks to Phantom and Keppell Falls, the latter definitely worth a visit. You can photograph the river from beside the road but thanks to recent bushfires, the surrounding forest isn't a lush as it once was.